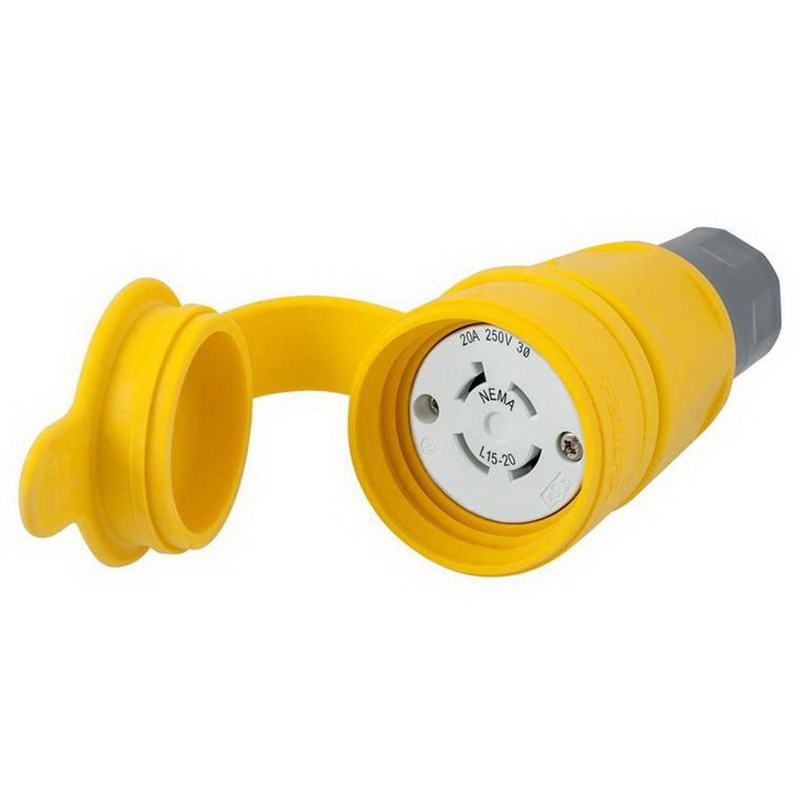 Hubbell-Wiring Twist-Lock® 3-Pole 4-Wire Locking water-tight connector in yellow color, withstands current rating of 30-Amps and voltage rating of 250-Volt AC. This 3-Phase connector with nickel-plated brass screw terminal connection, accommodates size 8 - 18-AWG conductor and 0.375 - 1-Inch cord. It features thermoplastic elastomer construction. Corrosion-resistant connector has dielectric strength of 2500-Volt AC. It measures 2.57-Inch Dia x 5.67-Inch. Connector has temperature rating of -40 deg C. It has IP67 rated degree of protection. Connector is UL listed and CSA certified.